The Airport Commission has commenced the Request for Proposals (“RFP”) process for the Automated Equipment Rental Lease. This Lease is for the operation of Automated Equipment Rental service at San Francisco International Airport. The Proposal Bond Amount for this lease is $1,000.00. An Informational Conference will be held on Wednesday, February 6, 2019 at 10:00 a.m. at the SFO Business Center, 575 No. McDonnell Road, 3rd Floor – Finance Conference Room at San Francisco International Airport. This is a time when Staff will discuss desired concept, minimum qualification requirements, address any questions relating to the Lease and receive comments from participants. Small, local and disadvantaged businesses are encouraged to participate. 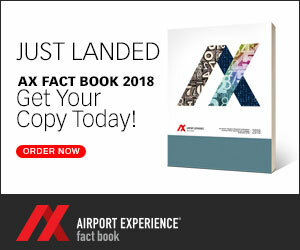 Please see https://www.flysfo.com/business-at-sfo/current-opportunities for additional information or call Tomasi Toki, Principal Property Manager, Revenue Development and Management Department, (650) 821-4500 or via email at [email protected] .